Charlie has made the most amazing hand-crafted rocket – but now his special rocket is suddenly broken. Could it be because of his little sister Lola? He told her absolutely never ever to touch it! 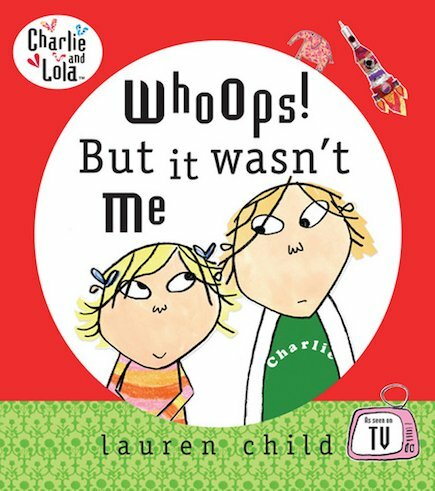 But Lola says, “It wasn’t me…” An irresistibly sweet, funny story featuring two adorable characters, which explores the importance of owning up to mistakes and saying that difficult word: “sorry”. Love this book. Love Charlie And Lola. The Charlie and Lola books are hilariously funny, and are perfect for younger readers. This book is no exception! My favourite bit is Charlie’s rocket but Lola breaks it. Cool! I like the rocket!